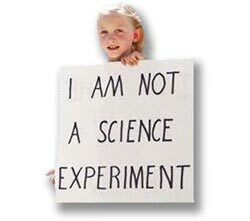 Please see also this website’s page on scientific studies. All wireless radiation is bioactive. That is, it causes biological effects, even non-ionizing radiation and even at levels tens of thousands of times less than the exposure limits set by the Federal Communications Commission (which is not a health and safety agency in the first place). There is a large amount of published, peer reviewed scientific research supporting this statement. These occur even at levels of exposure that are thousands of times less than the radiation emitted by smart meters.